Interested in building new website or redesigning an existing website? In this article, we will give you just a few reasons you should be considering WordPress for your next web design project. There are a lot of misconceptions about WordPress. Many people still think of WordPress as just the blogging tool it started out as in the early 2000s. In reality, WordPress has become the most robust and popular content management system for websites in the history of the internet. 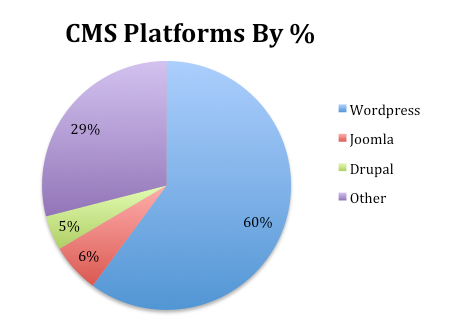 In fact, according to a 2018 report, WordPress is used by nearly 30% of all websites and accounts for more than 60% of websites utilizing a content management system. Make no mistake, Wordpress can be used to manage nearly any website you can imagine. WordPress has an easy, intuitive backend content management system that you don’t need to be a web developer to use. Adding new pages, blog posts, pictures or other content can be as easy as sending an email or working within a word processor. Also, WordPress can be accessed through any web browser, which allows you to manage your website through any computer connect to the internet. Above you can see a sample picture of the WordPress backend. As you will see, many of the features and functions are no different or more complicated than a word processor or email. WordPress allows multiple users on a website, but with different levels of access. From greatest to least amount of access, these roles include Administrators, Editors, Authors, Contributors and Subscribers. 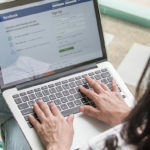 This allows the website’s owner to allow more than one person to make contributions to website, but also restrict certain individuals from areas they do not need access to. Search Engines like Google, Bing and Yahoo love the clean and simple code behind WordPress that makes it easy for them to index a website. 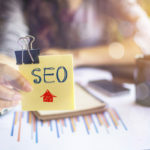 In addition to the SEO benefits WordPress offers “out of the box,” plugins, such as Yoast or All In One SEO Pack, can greatly enhance the search optimization efforts on a website for free. These plugins advanced SEO features that can be followed by beginners. 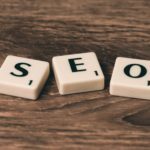 For a comprehensive overview of all of the SEO benefits WordPress has to offer, we recommend you take a look at “The definitive guide to higher rankings for WordPress sites” by Yoast. Perhaps the single greatest asset for WordPress is its large community of people working on it world wide. WordPress is an Open Source project, which gives the platform access to hundreds of developers constantly making improvements to the code your site is built upon. The WordPress community also provides access to numerous free online forums to speak with WordPress experts and enthusiasts to address any questions you may have about the platform. Developers are constantly working on new plugins to extend the features and functionality of a website. These plugins allow you to easily add features like an event calendar, social media feeds, contact forms, photo galleries and much more. With more than 52,000 plugins available mostly for free, anyone can adapt their WordPress website to their specific needs. If you need something more advanced or tailored, numerous paid plugins are also available at a reasonable cost. It is important to always remember plugins can slow down a website and should be chosen carefully. If not properly researched, plugins can also have conflicts with each other that can create errors on your website. It is always recommended that you do your homework or consult with a website professional before making changes to any plugins on a website. WordPress is the richest and most well supported website platform in the world. The wide range of time and cost saving benefits has made WordPress the clear choice for so many businesses, content creators and members of the web development community.